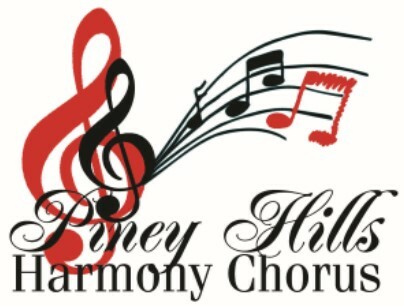 Piney Hills Harmony Chorus is a great place to bring your creativity and vocal talent. We've got a spot on the risers just for you! But we're more than just an a cappella ensemble; we're a family. We love getting together each week and sharing friendships as well as wonderful four-part a cappella music. If you like to sing, you're invited to visit our chorus and discover your INNER DIVA! Sitting in on one of our rehearsals is the perfect way to find out more about us and what we can do for you! You'll have the opportunity to hear us perform some goosebump-producing harmony, and you'll be invited to join us on the risers to experience the music, friendship and fun for which Piney Hills Harmony is known! Guests are welcome to visit chorus rehearsals Thursdays at 6 p.m.